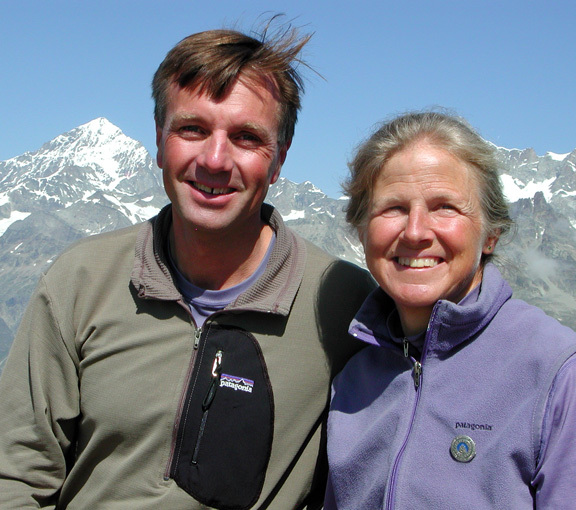 We are an international climbing and skiing guide service owned and operated by UIAGM / IFMGA Certified Mountain Guides Kathy Cosley & Mark Houston. We specialize in small-group and custom climbing and skiing trips and expeditions to the great alpine destinations of the world. 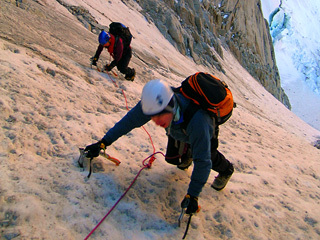 Our programs include mountaineering, rock and ice climbing, expeditions and ski mountaineering. This route, between Chamonix and Zermatt, stays almost entirely on trails, avoiding the technical glaciers and difficult travel of our Haute Route Glacier Trek, below. Only one night is spent in a high mountain hut, with the balance in comfortable hotels and g�tes. We have a dedicated van to bring our baggage to each night's stop (except the single night in the hut) and to shuttle us to and from trail heads. 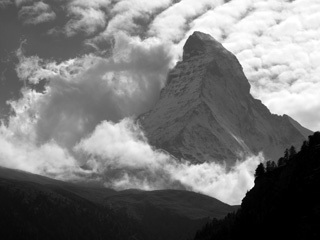 This is a challenging high altitude trek linking the Chamonix Valley and Zermatt. For much of this route we are on glaciers or off trail, on climbers paths and routes. We'll stay in mountain huts, rise early and enjoy long days in high alpine terrain. This 7-day route is distinctly more difficult than the "walker's" (non-glacier) route, but offers the rewards of a greater challenge. We spend every summer guiding in our backyard, the Alps. Let us know if you think you might like to join us. Pensione-based ski touring. "Old World" Italy, fantastic food, powder snow in a less-visited corner of the Alps. The Silvretta group straddles the border between Italy and Austria. Our 6-day tour starts on the Austrian side and visits 3 huts, the Heidelberger, the Jamtal and the Wiesbadener. This is a prefect choice as an introduction to ski touring in the Alps, with comfortable huts (showers!) and superb touring terrain. Just north of St-Moritz and the Julier Pass, and southwest of the Silvretta Group is a ski touring paradise called the Albula. We start this trip with a one day descent from the Diavolezza before continuing on to spend 6 days of touring, connecting St. Moritz to Davos. North-facing, the descents are amazingly good. Sea, snow, mountains and sky in an amazingly beautiful part of the world. 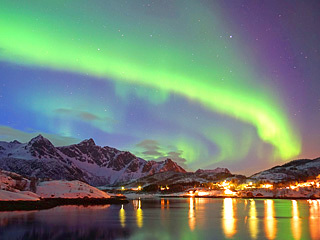 We stay in the Lofoten Ski Lodge. Each day we take a short drive to a new tour. First class comfort, great touring and fantastic scenery produce an unforgettable week. This tour is one of our favorites. Great huts, fantastic ski descents, and big, glaciated peaks. We have 7 days of skiing starting and ending in Sulden, Italy. The daily routine: get up, enjoy a fine breakfast, climb another big peak, have a great ski down, shower, relax in the bar, dinner, to bed, and repeat. 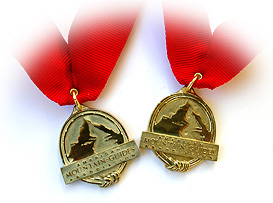 The perfect tour for skilled and adventurous skiers who enjoy their fun. Probably the most visually spectacular ski tour in Switzerland. This technically difficult adventure starts in Zermatt and ends in StNiklaus. 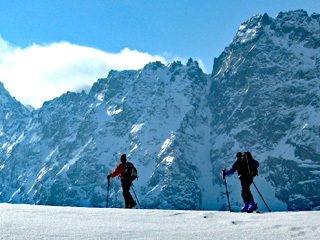 This is a diffidult tour, suitable only for highly skilled skiers with considerable previous mountaineering experience.